The simplest method to prevent your antivirus software from blocking PsExec is actually using a built-in switch that PsExec offers to change the remote service name. 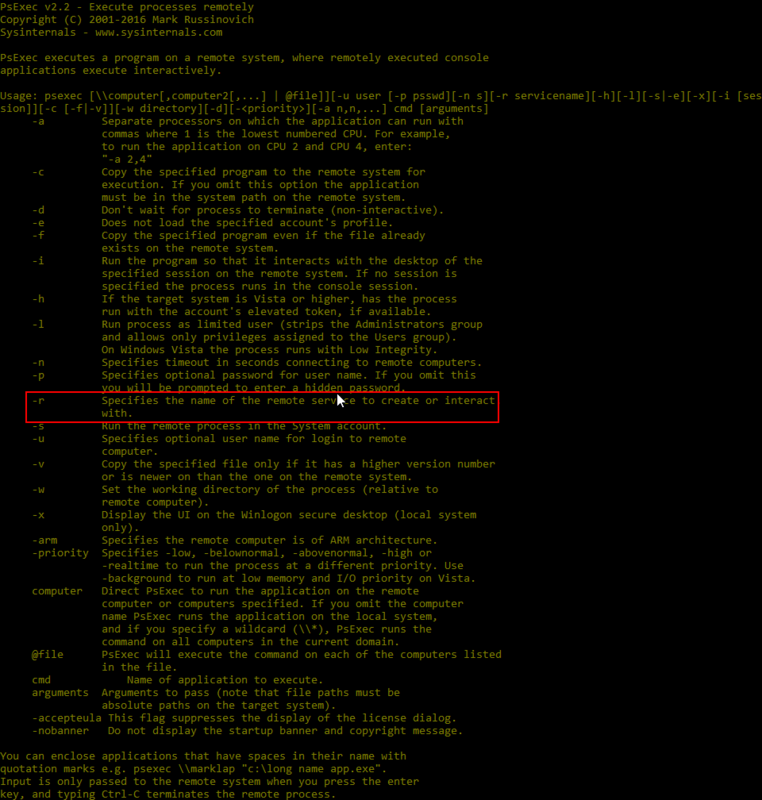 This option exists in PsExec version 2+. This method works for the large majority of situations, but depending on the actual blocking mechanism that has been used in your environment, it’s possible that this method might not work for you. Under normal circumstances when PsExec.exe is executed on computer A, it creates a connection to a target computer B. On computer B a new service is created called PSEXESVC with an executable file psexesvc.exe. When you use the -r switch you are able to specify a new/different service name to be used, so the target computer will create a service and associated executable with the name you specific rather than the default/generic psexesvc. Believe it or not, this is actually enough to bypass or prevent detection in many/most cases, though again I would note that it really depends on the actual blocking mechanism that’s in place in your environment. 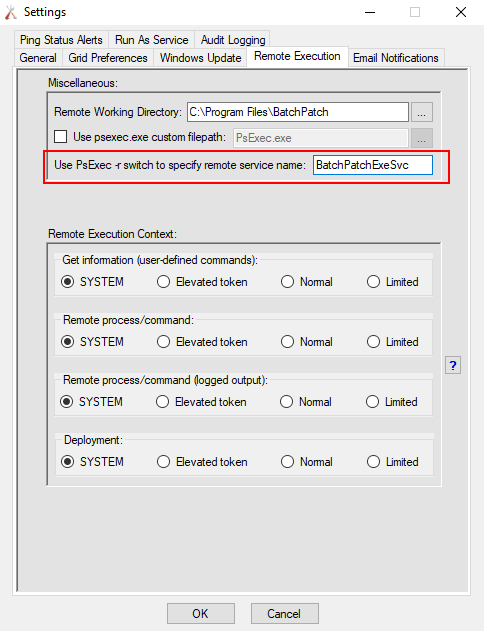 This switch can be utilized when working with PsExec directly at the command line on a particular computer or it can also be used inside of BatchPatch. In BatchPatch go to ‘Tools > Settings > Remote Execution’. You’ll need to modify the value next to ‘Use PsExec -r switch to specify remote service name’. You can use any name that you want here. BatchPatchExeSvc is not a bad choice, and it’s what I have specified in my instance of BatchPatch, as you can see in the screenshot below. This entry was posted in Blog, General, Tutorials and tagged psexec. Bookmark the permalink. Both comments and trackbacks are currently closed.